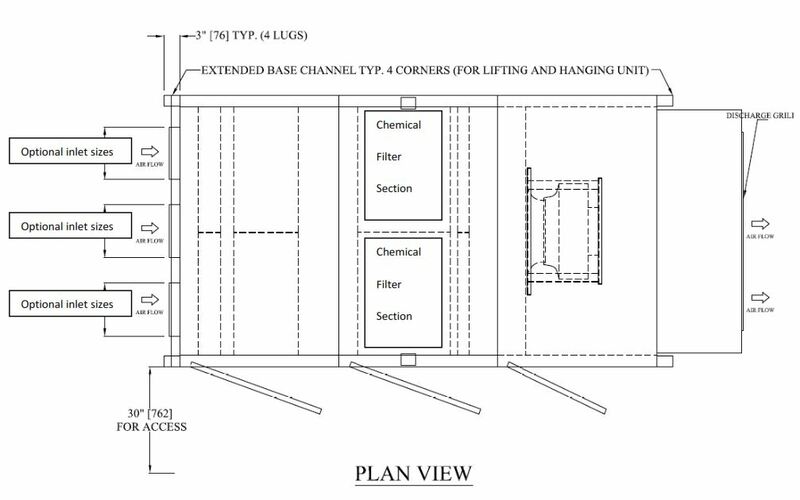 Attached the rough sketch of the space we want to filter. The space actually only about 1000 sq ft = with 2 rows of shelves/racks. The room is occupied with 3D-Printers (on the shelves). The material we use to print is ABS plastic which comes in in filament form. During the printing process, the printer heats the ABS plastic filament to melt (soften) the plastic enough to carry the printing process. In the process of heating the plastic filament, there is odor emitted and that is what we want to filter. “Worst case scenario”, all the 3D printers are firing at the same time, producing lots of odors, fumes – a Recirculating air filtration system equipped a chemical gas filter (activated carbon filtration), like our BP PRO Series, will work, but not immediately. The odors need to get to the air filtration unit for the unit to remove the odors and fumes. Therefore larger the system and / or multiple units, will result in a higher number of the air changes per hour and the quicker the air is cleaned, filtered of the odors. 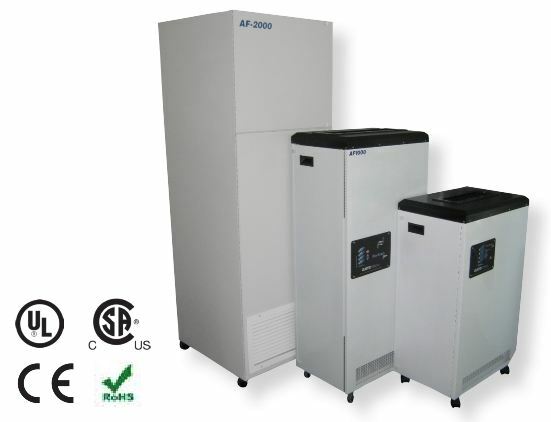 “Worst case scenario” – I recommend two (2) of the BP2002 – this duo will deliver up to 11.9 air changes of air per hour (approx 400 lbs of chemical media filtration). If the situation isn’t as bad as the “worst case scenario”, two (2) of the BP1004 can be considered as an alternative – this combination will deliver up to 6 air changes of air per hour (approx 200 lbs of chemical media filtration). If you have a similar situation, odor, chemical fumes, gases removal, reduction issues – please contact us for help in choosing the right air filtration system solution to your needs. 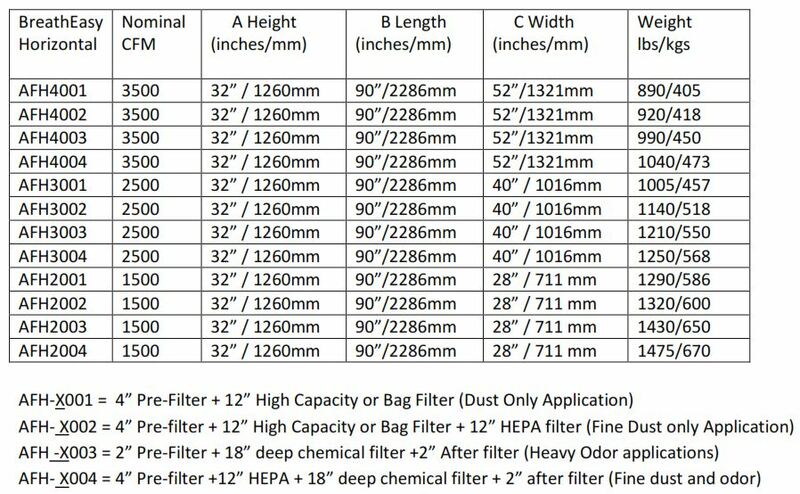 Looking for a 1000 CFM, 2000 CFM, 3000 CFM, Air Filtration Scrubber System – please contact us for more information. Contact Us – Click here or fill out the form below.